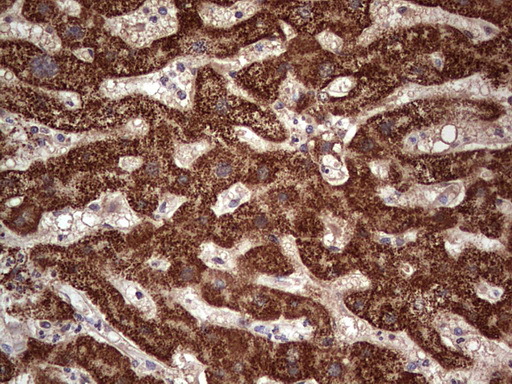 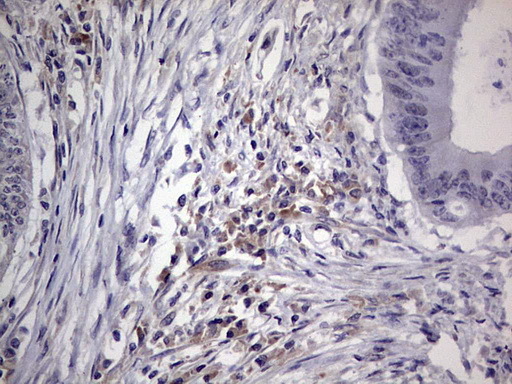 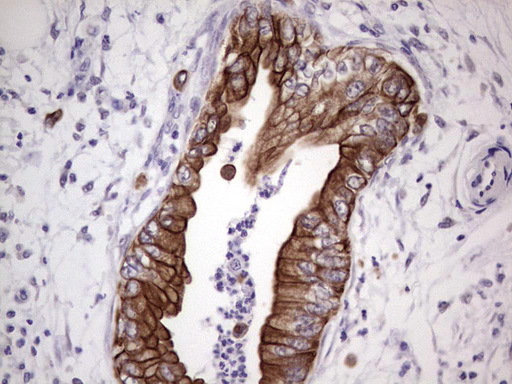 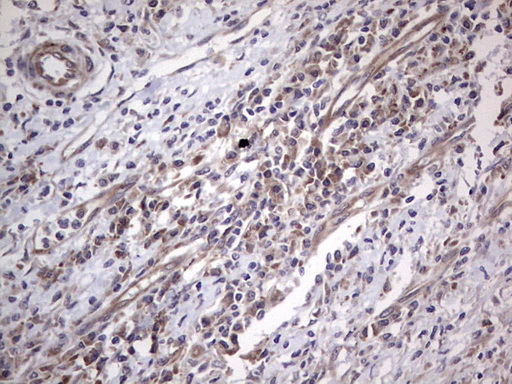 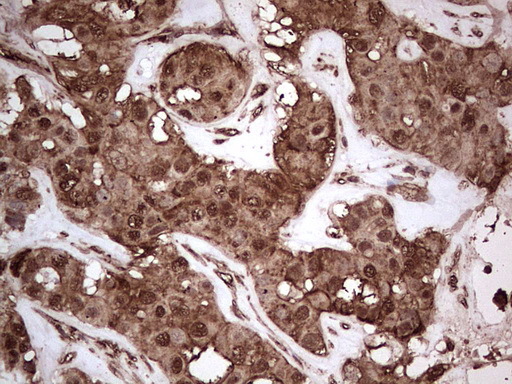 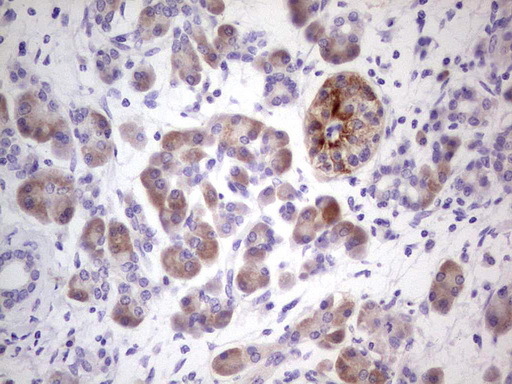 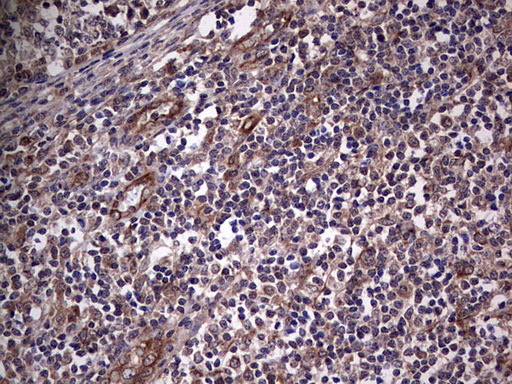 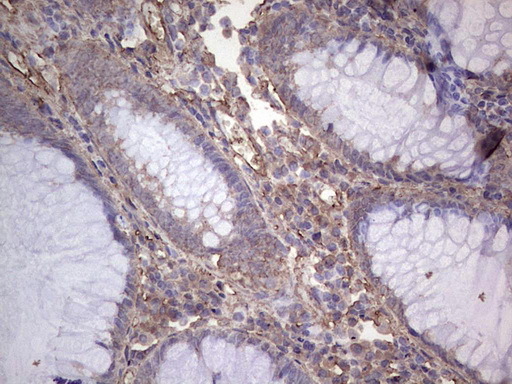 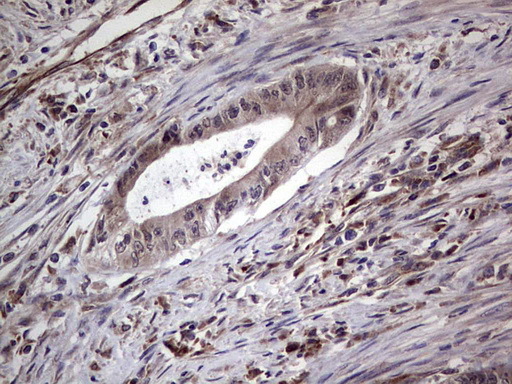 NUDT12 MaxPab polyclonal antibody. 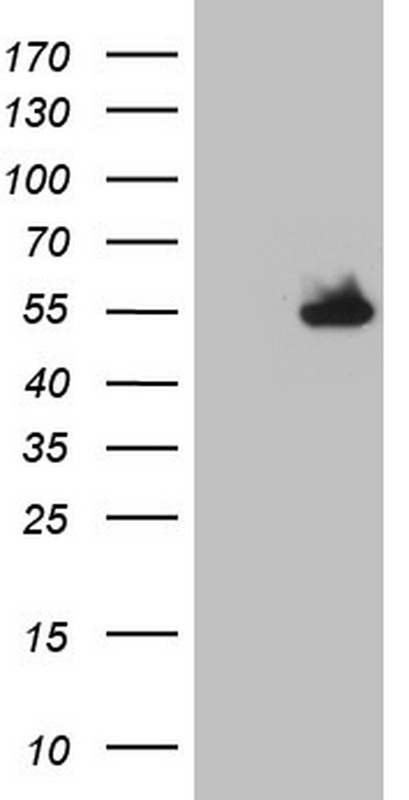 Western Blot analysis of NUDT12 expression in human liver. 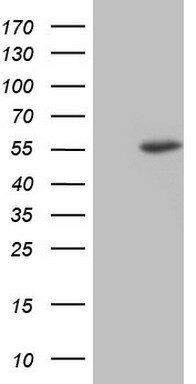 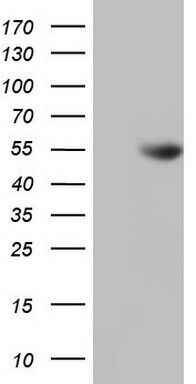 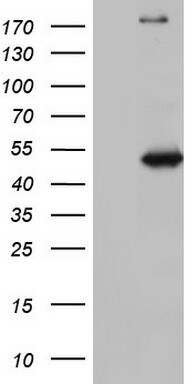 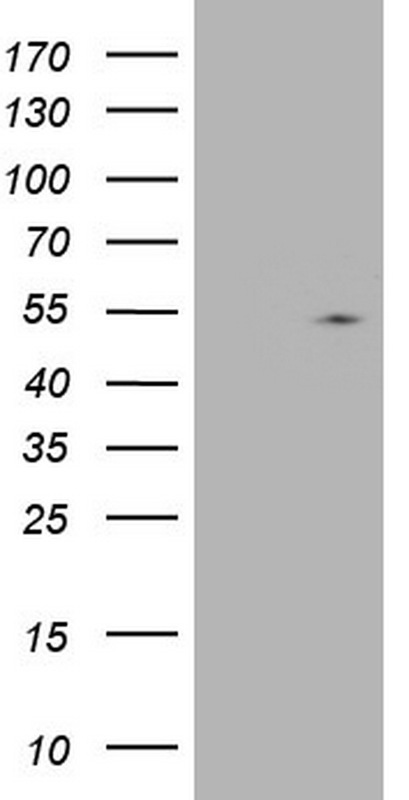 Western Blot analysis of NUDT12 expression in transfected 293T cell line (H00083594-T01) by NUDT12 MaxPab polyclonal antibody.Lane 1: NUDT12 transfected lysate(50.82 KDa).Lane 2: Non-transfected lysate. 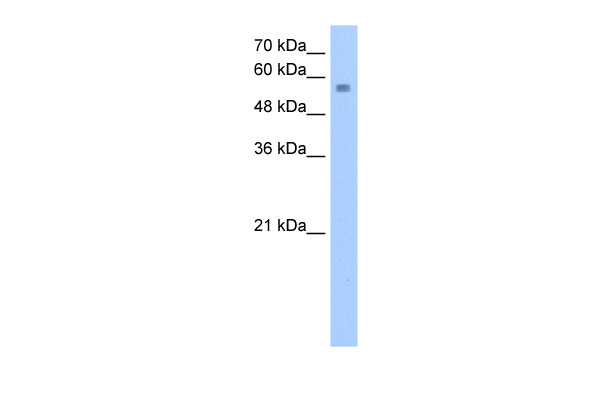 HEK293T cells were transfected with the pCMV6-ENTRY control (Left lane) or pCMV6-ENTRY NUDT12 (RC207724, Right lane) cDNA for 48 hrs and lysed. Equivalent amounts of cell lysates (5 ug per lane) were separated by SDS-PAGE and immunoblotted with anti-NUDT12.